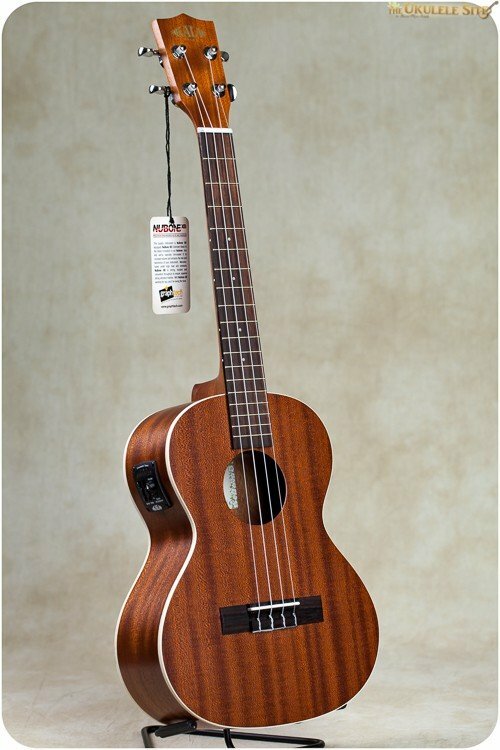 The Kala Mahogany Series Ukuleles offer a Full-Bodied Tone with plenty of "Sweet Highs" and "Mellow Lows" that combine for a full rich sound. Traditional white binding on the top and the back accent the Rich Satin Mahogany finish, while Chrome Die Cast Tuners assure your instrument will keep tune. Premium Aquila nylon strings will bring out the Ukuleles natural voice.